Overview- EMS Doctors- We Still Make House Calls! The ARMC EMS Fellowship is designed to provide emergency medicine physicians the opportunity to become board eligible for the sixth subspecialty in Emergency Medicine. Emergency Medical Services (EMS) is a medical subspecialty that involves prehospital emergency patient care, including initial patient stabilization, treatment, and transport to hospitals in specially equipped ambulances or helicopters. The purpose of EMS subspecialty certification is to standardize physician training and qualifications for EMS practice, improve patient safety and enhance the quality of emergency medical care provided to patients in the prehospital environment, and facilitate further integration of prehospital patient treatment into the continuum of patient care. EMS became the sixth subspecialty available to ABEM diplomates on September 23, 2010, when it was approved by the American Board of Medical Specialties (ABMS). Individuals successfully completing our one-year fellowship will obtain sufficient didactic and practical knowledge to work and excel as a medical director of an EMS agency, an EMS researcher, or an Emergency Department-based EMS specialist. The ARMC EMS Fellowship is a 12-month ACGME Accredited EMS Fellowship, that includes field care delivery, administrative oversight, administrative and academic projects, offline and online medical direction, and disaster & event medicine training. 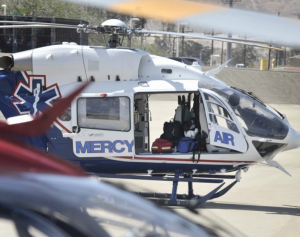 We partner with agencies including the San Bernardino County Fire Department, the Inland Counties Emergency Medical Services Authority (ICEMA), Inland Valley SWAT Team, Mercy Air, and AMR to ensure a sufficiently broad experience coupled with strong expertise. 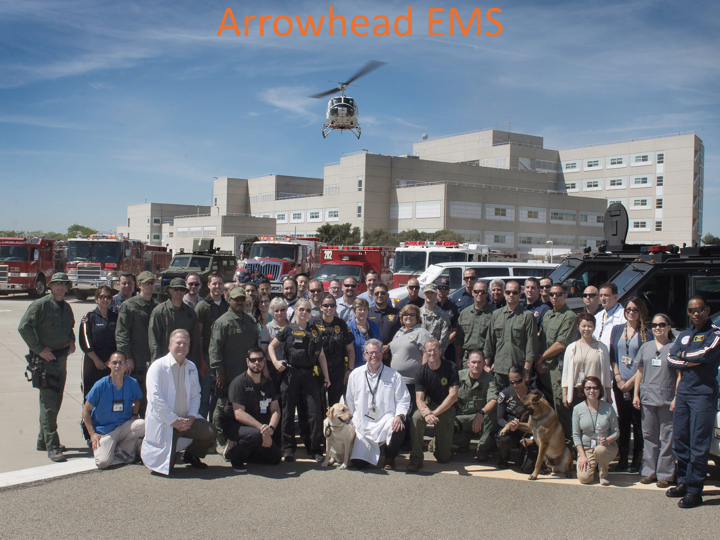 The ARMC Division of EMS is active in several ongoing research and community projects, including one of California’s Community Paramedicine Pilot Programs, involvement in quality improvement and quality assurance activities for the region, policy development, tactical medicine, and we are the leaders in prehospital TXA research.